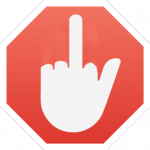 If you’ve stumbled across this post, you’re probably familiar with adblocking extensions such as Adblock and uBlock(seriously recommend the latter for a handful of reasons) and most likely you’re in need of a solution to take back your network and system resources as well as a need for less clutter and more privacy in your daily web ventures, however, this method for blocking ads at the browser level only tends to be quite inefficient and fairly limited. Wouldn’t it be cool to also have ads and trackers blocked at the system level, including but not limited to applications like Skype, uTorrent, IE(seriously?) and other browsers or the many shareware/freeware apps that track your usage via mechanisms like Google Analytics(some use exactly that for tracking). The solution is fairly simple, we’re going to use a simple hostname based block list to map undesirable domain names to either 0.0.0.0 or 127.0.0.1. In my testing on OS X, I found that 0.0.0.0 works best, that might not be the case on different operating systems. The blocking is done via the ages old hosts(5) unix file, but still very useful mechanism for easy static ip-name mappings at the host level. The current block list that I use is hosted at hosts.neocities.org. I’m not affiliated with that site and don’t know who is providing it, that being said I use git to track and review changes between updates. The list is quite exhaustive, combining lists from several other sources cited in the header. I’d like to see a couple more lists combined like that from several other places(mainly the ones from uBlock would be useful), but you can then add extra lists by modifying the script fairly easily. Now the script itself, is hosted on Github. Please read the entire script and what I’ve written bellow before running the script on your system. Before you go on and use the script on your OS X, I really encourage to start using git in your /etc/ directory. The script won’t even work without a git repo in /etc/, unless you know what you’re doing and you’re going to modify it to bypass that. Having a git repo in your etc directory gives you revisioning, rollback, beta-testing, review and scrutiny abilities to whatever you’re doing to your etc. I do this on my workstations, laptops and servers that I manage. The added git overhead on your daily etc routines is insignificant when compared to the benefits you get when you most need them. The script is smart enough to not break your current system. What it does as part of the first time run initialization is copy your current /etc/hosts to /etc/hosts.d/hosts.1.head. All your existing localhost rules and custom rules will be maintained there. The adblocking rules will go into /etc/hosts.d/hosts.3.adblock. You can add custom mapping rules(for staging servers, local network mappings) to hosts.2.custom. The script also has some pfsense blocking rules from www.emergingthreats.net and some custom ip blocking enabled in /etc/pf.rules/ip-block.pf. This is disabled by default, you can enable it by setting the PFSENSE var to “true” or passing -f as argument. 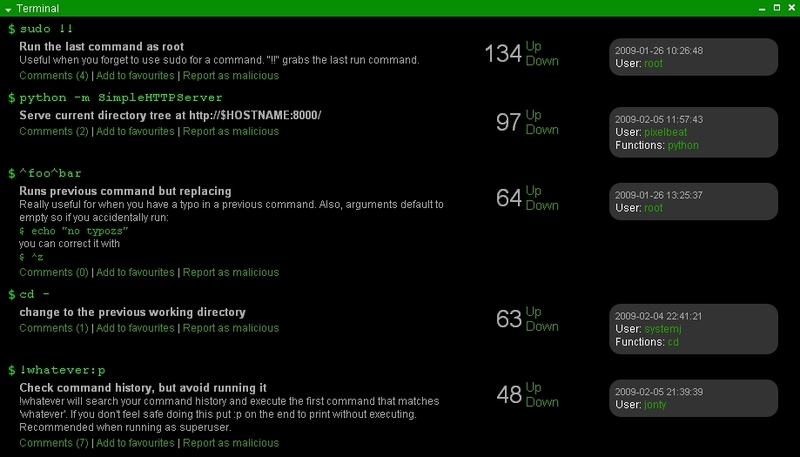 If you know of some other worthy and fresh ad/malware ip lists let me know. Although my script is OS X only, it’s fairly easy to port it to any other UNIX system(I welcome patches to the main script via Github), having such a solution for the Windows platform would be cool too. Maybe someone reading this can weigh in with their solution or insight? Would it work fair enough, is cygwin the only way for automating this? Nonetheless, stay tuned, since I have a similar router solution(AsusWRT, DD-WRT) coming up soon, that steps up the game a notch and provides blocking for your entire network, though it surely doesn’t deprecate this host level solution (on a laptop for e.g. that is frequently switching networks). Is there an alternative to the finger command? The simple answer is yes! There is an official replacement for the original finger command and it’s part of the gnu coreutils package, it is called pinky(1) and it’s available on all systems that use the gnu coreutils. The long answer is, no, there isn’t really a real replacement to the original remote enabled finger protocol along with the fingerd daemon and finger client. While it did make sense and has seen its fair share of usage in the early days of the Internet, it has been considered obsolete and a security issue for way over a decade now, thus all of the modern Linux distributions and Unix flavors don’t install the service nor the client by default anymore, some don’t even include them in their repositories at all. As you can see the output is pretty similar to the who(1) command(it was actually ported from who.c), nothing special about it. The other traditional alternatives to the finger command include w(1) and users(1). Delete that bloated snippets file you’ve been using and share your personal repository with the world. That way others can gain from your CLI wisdom and you from theirs too. All commands can be commented on and discussed – digg-esque voting is also encouraged so the best float to the top. A very good compilation of command line tricks. Ninja Style! Are you fighting with your girlfriend/wife over you hacking all night?